Lucy Vincent by Elizabeth Lockhart Taft among works featured at Gay Head Gallery this summer. The Gay Head Gallery is open for the season, featuring local and nationally acclaimed artists, photographers, jewelers and sculptors. 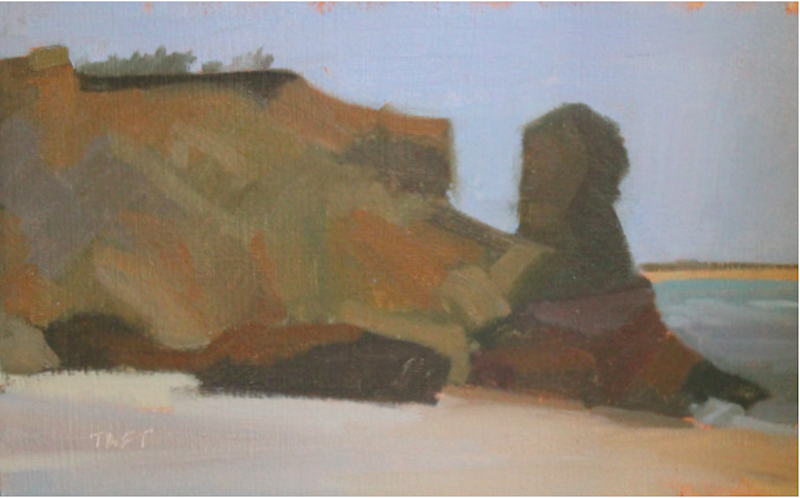 There is new work by Island artists Marie-Louise Rouff, Elizabeth Taft and Marston Clough. Additional Island artists include John Athearn, Jennifer Christy, Doug Kent, Enos Ray, Sarah Nelson and Linda Thompson, among others. Lois Gold and Peter Roux will exhibit their paintings for the first time this season, and will be featured in an up-coming event at the gallery. Summer events and receptions will include artist talks, curated shows and an Aquinnah version of “a moveable feast,” which will feature focused art exhibits and themed discussions in the morning. Gay Head Gallery is at 32 State Road in Aquinnah, after the turn to Lobsterville and before the town hall. Call 508-645-2776 or visit gayheadgallery.com. The Sargent Gallery in Aquinnah is opening its summer season this weekend.